Sometimes where you start is not where you end up. From changes in scope to a tight timeline and budget, KimbleCo was there for each step of the journey. 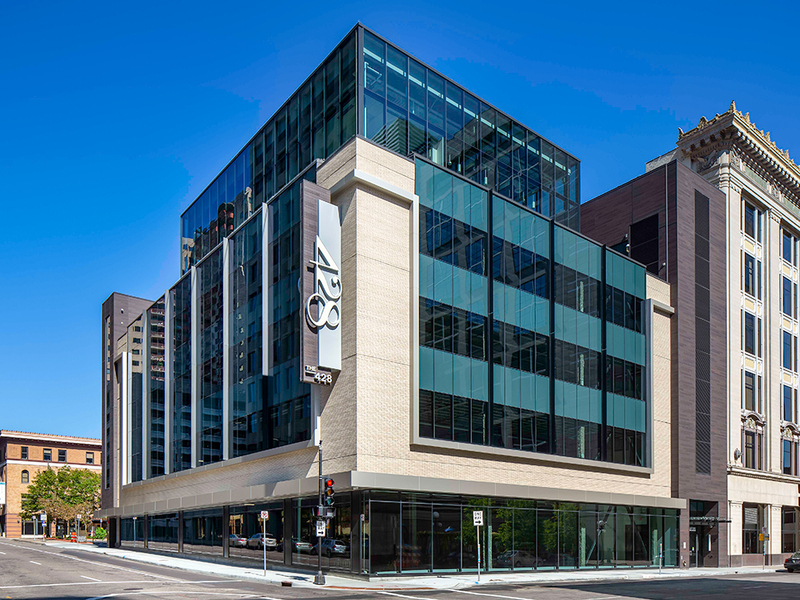 KimbleCo was delighted to be selected for a variety of roles on this exciting downtown St. Paul new office project, the first building registered for LEED and WELL Building certifications in the state of Minnesota. Towerside is the only designated innovation district in the Twin Cities with the intent to mix entrepreneurs, residents, researchers, developers and businesses with a new, restorative, healthy and arts-inspired community. A platform of account and relationship management strategies were developed to facilitate multiple ground up build-to-suit developments and to ensure client satisfaction, resulting in repeat business over time. Coworking spaces are continuing to expand across the globe. We work differently than we used to and we don’t necessarily work in the same space every day. So what is coworking anyway? KimbleCo worked to find the very best locations for this client that could be located in a variety of different asset types: retail, office or medical office. Communication in any transition is key but especially when merging two different cultures – keeping stakeholders apprised of the changes that are happening helps retain talent and minimize business as usual during the transition.